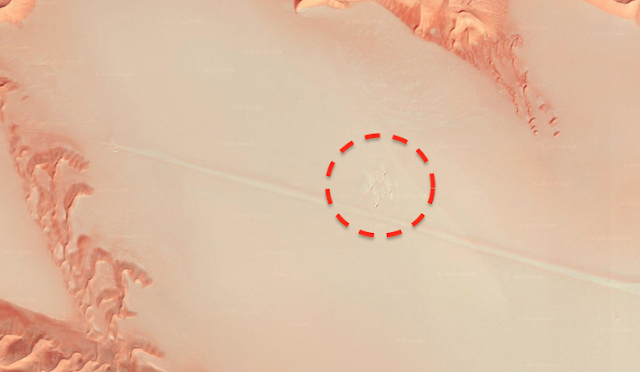 UFO SIGHTINGS DAILY: Six Pointed Star Found In Desert On Google Earth, Saudi Arabia, July 2016, Photos, UFO Sighting News. Six Pointed Star Found In Desert On Google Earth, Saudi Arabia, July 2016, Photos, UFO Sighting News. 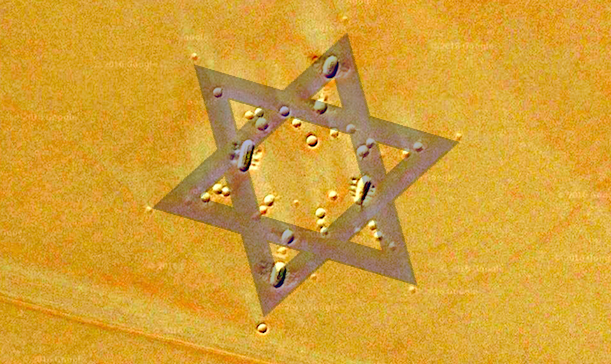 I put a Star of David over the ancient site. It fits perfectly. Above is altered with added contrast, below is original untouched. This was sent into me this week by a reader here at UFO Sightings Daily. 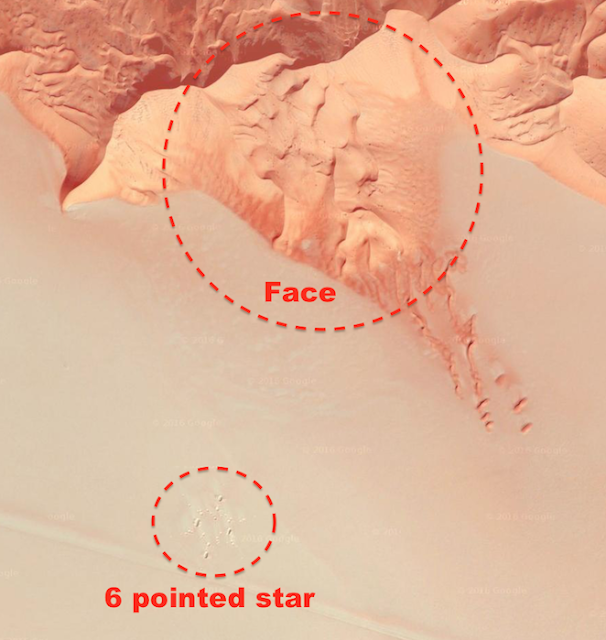 There is a giant 6 pointed star that looks a lot like the Star of David, a Jewish symbol of sorts. This may be an ancient drawing made by a tribe long ago that followed the Jewish faith. Much like the Nazca lines in Peru were made for the gods to see. It was made from ancient tribes of people placing their structures in this design. Over hundreds and thousands of years, the desert changes very little, so I assume the outlines are sand covering the stone broken walls. Thanks to anonymous for telling me about this. Wow, this really looks like the surface of Mars here. 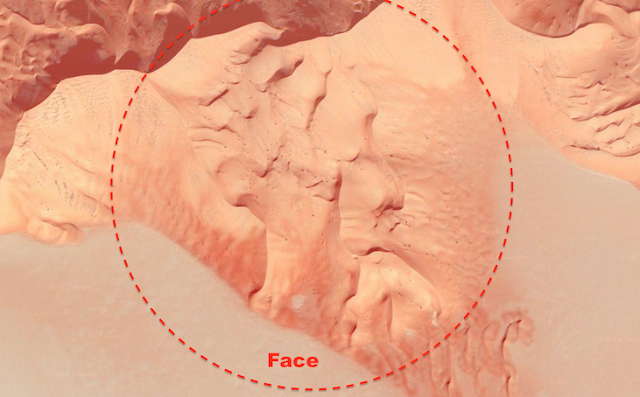 There is also a giant face directly above it in the mountains, which always means alien were involved and created the face to mark their territory...a cultural thing many alien species follow. 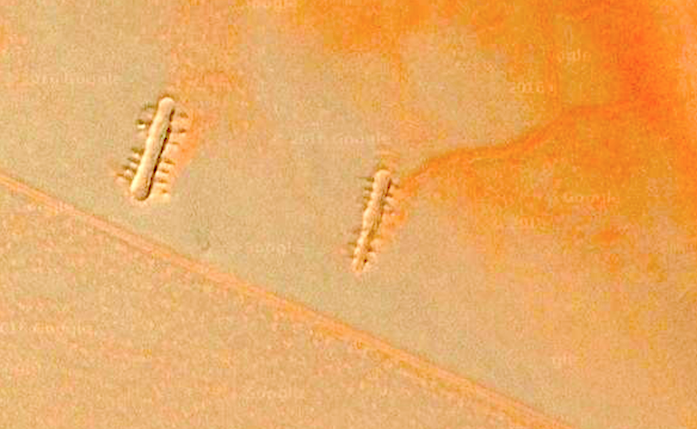 Hi, please see these structures and explain them, they are in the empty quarter, the largest sand dune desert in the world. 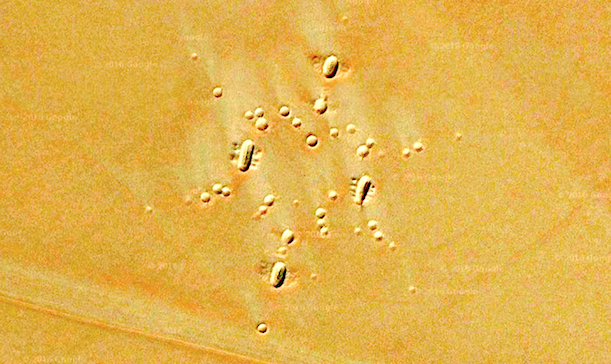 Two more ancient structures below not far way from the star.